Send an email to Support Douglas County Libraries before they confirm the decision to close them! 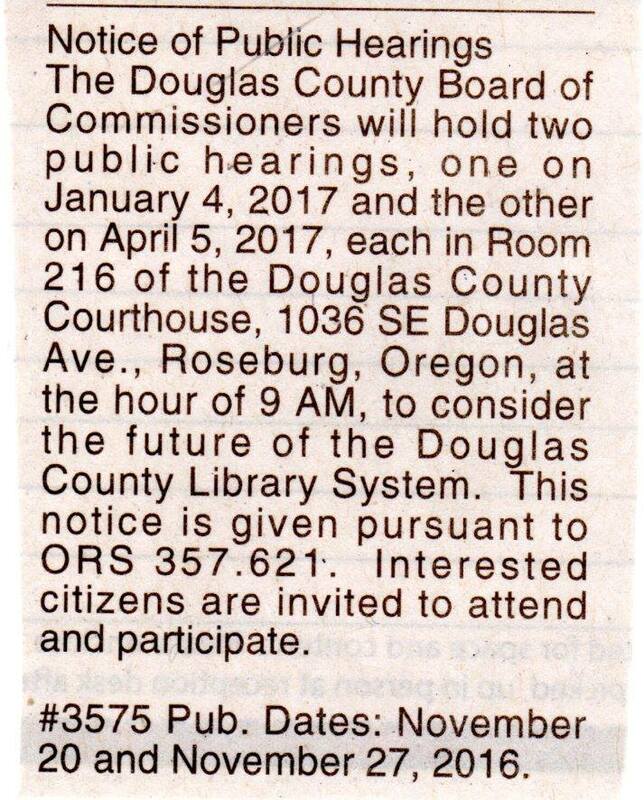 You might not have heard, but Douglas County in Oregon is planning on closing all of its libraries but we still have an opportunity to get our voices heard! Under Oregon Revised Statute 357.621, public hearings are required prior to abolishing or withdrawing support from public libraries. Douglas County Commissioners have scheduled such hearings on January 4, 2017 and April 5, 2017 at 9 am in Room 216 of the DC Courthouse. If you can't attend, please use this form to send the commissioners an email and enter your comments into public record. Send the email to Support Douglas County Libraries before they confirm the decision to close them!